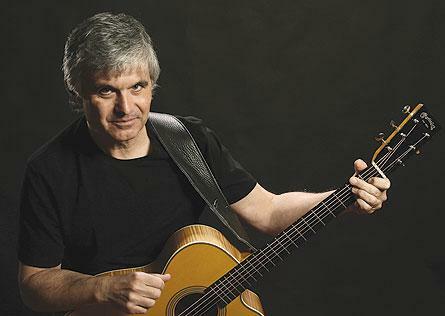 Internationally recognized as lead guitarist in Beatle Paul McCartney’s band “Wings,” Juber has since established himself as a world-renowned guitar virtuoso, composer and arranger. Fusing folk, jazz and pop styles, Juber is a two-time Grammy-winner that creates a multifaceted performance that belies the use of only one acoustic guitar. He has released 22 solo albums. The latest, “Under an Indigo Sky” is a jazz/blues-tinged studio album. His concurrent release from the same label, “Catch LJ Live!,” is a two-disc combo that captures one solo concert performance on video and on CD. As a studio musician, he can be heard on recordings from artists as diverse as Seal, Al Stewart, Ringo Starr, The Alan Parsons Project and Barry Manilow, plus he is featured on the soundtracks of hundreds of movies and television shows. Individual tickets for the performance are $10 for regular admission, $7 for senior citizens, and $5 for children 18 and under. Tickets are available at the ticket office in the Events and Conferences Office located downtown in the Anderson-Werkman Financial Center at 100 E. Eighth St. The Events and Conferences Office is open weekdays from 10 a.m. to 5 p.m. and can be called at (616) 395-7890. Tickets are also available online at hope.edu/tickets.